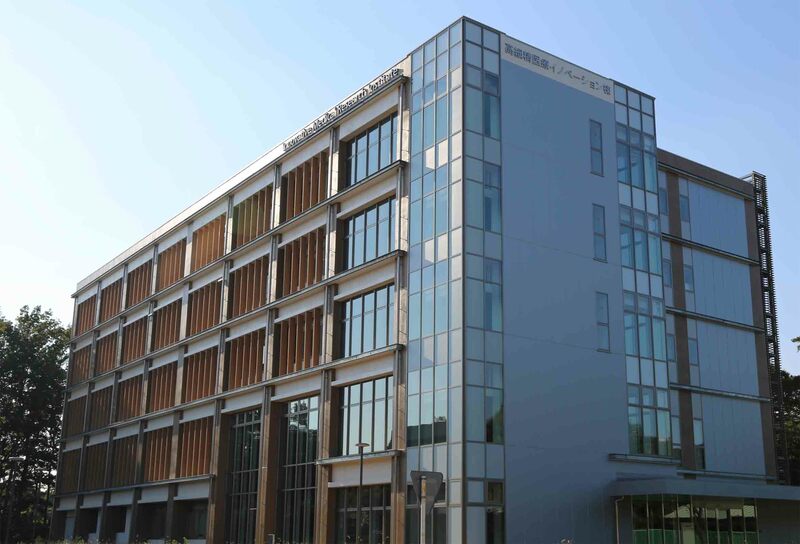 The University of Tsukuba Innovation Medical Research Institute opened in Kasuga Area on August 19. The institute was established as part of a project titled “Global Science and Innovation Development Project Utilizing Community Resources through Industry-University Collaboration” sponsored by the Ministry of Education, Culture, Sports, Science and Technology (MEXT) for fiscal year 2012. The institute was jointly proposed by the University of Tsukuba and Keio University. The objective of the institute is to conduct innovative research and development making use of community resources and to create a new healthcare industry and new jobs. Gathering people from industry, university, and government under one roof, the institute aims to develop long-lasting innovation in an interdisciplinary environment. On the fourth floor of the building, the institute has a satellite office for the Center for Food and Medical Innovation (FMI). FMI is a MEXT-sponsored project led by Hokkaido University and is conducted as part of the Center of Innovation Science and Technology based on the Radical Innovation and Entrepreneurship Program (COI STREAM). The development of technologies for drug discovery, early diagnosis, disease prevention, tailor-made treatment, and Companion Diagnostics (CoDx) are highly needed in society because they are related closely to human health. The demand for innovative medical technologies is expected to increase in the next ten years. With rapid aging of the population in Japan, people need the development of innovative medical technologies for active and healthy aging. Working with companies that have expertise in related fields, the institute aims to create a new healthcare industry. The Innovation Medical Research Institute aims to achieve the following five mission goals in cooperation with industry and government. The institute aims to establish a data anonymization system that enables the secondary use of personal medical information provided by the university hospital. With the system, the institute will be able to utilize the medical information without invading patient privacy. The institute intends to prepare both hardware and software required for the system, and to conduct verification experiments to implement the system. Early diagnosis and treatment are very important to cure health problems such as cancer, infection, allergy, diabetes, metabolic syndrome, and Alzheimer’s disease. The institute aims to develop medical technology that allows the early detection of serious medical conditions and to enhance the chances of better treatment in the early stages of health complications. The institute aims to introduce a device for creating a new PET probe to a research laboratory at the Tsukuba Advanced Imaging Center (ADIC). The institute aims to conduct clinical research on new PET probes through industry-university collaboration and to conduct clinical trials with a promising candidate compound. Regarding the process of exploratory research and preclinical study as phase zero in the process of drug development, the institute aims to overcome challenges to drastically cut the length and cost of drug development. The institute aims to work on the following tasks to improve the overall quality of life. Access: Please see the Access to Tsukuba Campus. Public Transportation: Take a bus bound for "Tsukuba Daigaku Chuo" or the "University Loop-line On-campus Bus [Tsukuba Daigaku Junkan Bus]" and get off at Tsukuba Daigaku Kasuga Area. On Foot: About a seven-minute walk from Tsukuba Station (Tsukuba Express) Exit A1 or A2.